Wake County hospitality industry has one of the best years on record. Outperforms state averages and brings in record breaking tax collection amounts. Raleigh, N.C. (Feb. 11, 2019) – The Greater Raleigh Convention and Visitors Bureau (Visit Raleigh) has released the 2018 Year-End Tourism Industry Report. Wake County hotels outperformed their 2017 marks as well as exceeded the state averages across all key performance indicators in 2018. Additionally, hotel occupancy as well as prepared food and beverage tax collections both saw record amounts. Rooms sold in Wake County increased 6.1% over 2017 and future bookings made by Visit Raleigh and Greater Raleigh Sports Alliance (GRSA) specifically totaled 375 groups representing more than 271,000 room-nights and creating an estimated direct economic impact across Wake County of $194.4 million. In 2018 according to the Smith Travel Research occupancy went up 1.7% over 2017, Average Daily Rate (ADR) grew 3.4% and Revenue Per Available Room (RevPAR) increased 5.1%. This means occupancy rates across Wake County continue to outperform both the state and national averages, and Wake County hotels also continue to outpace the state averages for ADR and RevPAR. 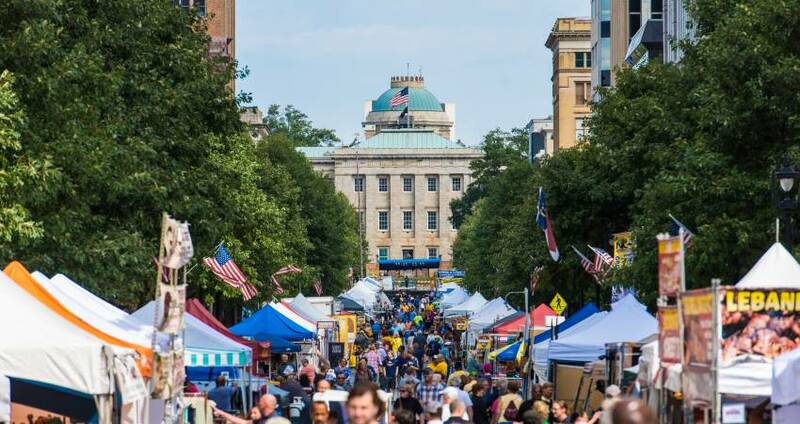 During the fourth quarter of 2018 (October 1, 2018 – December 31, 2018) Visit Raleigh and the GRSA combined to host 80 conventions, sporting events and groups and welcomed more than 169,000 attendees to Raleigh, N.C. The quarter was capped off by hosting the visitRaleigh.com Showcase Series over four weekends in Nov. and early Dec. This annual elite-level youth soccer event put on by North Carolina FC Youth brought in 70,000+ attendees for more than 32,000 total room nights across the county. With visitation growing to more than 16 million visitors annually, hotel lodging tax collections totaled almost $28 million and prepared food and beverage tax collections totaled more than $30 million in 2018. The fourth quarter was also productive in booking future conventions, sporting events and groups in Wake County. Together Visit Raleigh and GRSA booked 73 groups totaling more than 106,000 room-nights of future business. At the close of 2018 Visit Raleigh and GRSA combined booked 375 groups for more than 271,000 room-nights, creating a direct economic impact of $194.4 million.